Chapter 1: “I incline to Cain’s heresy," he used to say quaintly. “I let my brother go to the devil in his own way." Utterson’s nature is forgiving and non-judgmental. Loyal to a fault, he denies wrongdoing even when confronted with the evidence. Chapter 2: “If he be Mr. Hyde," he had thought, “I shall be Mr. Seek." Utterson determines to uncover the secret of Mr. Hyde and his link to Dr. Jekyll. Chapter 3: “I don’t ask that," pleaded Jekyll, laying his hand on the other’s arm; “I only ask for justice; I only ask you to help him for my sake, when I am no longer here." Utterson attempts to persuade Jekyll to break off association with Hyde. Chapter 4: “I shall say nothing till I have seen the body," said he, “this may be very serious. Have the kindness to wait while I dress." Confronted with the evidence of foul play (the murder weapon is a cane which Utterson recognizes as belonging to Jekyll), Utterson buys time before discussing the matter with the police. Chapter 5: There was a pause during which Mr. Utterson struggled with himself. “Why did you compare them, Guest?" he inquired suddenly. “Well, sir," returned the clerk, “there is a rather singular resemblance; the two hands are in many points identical: only differently sloped." Guest examines Jekyll’s will and other documents in the gentleman’s handwriting and detects the similarities. Chapter 6: “I wish to see or hear no more of Dr. Jekyll," he said in a loud, unsteady voice. “I am quite done with that person, and I beg that you will spare me any allusion to one whom I regard as dead." Dr. Lanyon is speaking to Mr. Utterson. Laynon’s appearance is that of someone who has endured a horrifying event. Chapter 7: “That is just what I was about to venture to propose," returned the doctor with a smile. But the words were hardly uttered, before the smile was struck out of his face and succeeded by an expression of such abject terror and despair, as froze the very blood of the two gentlemen below. Mr. Utterson and Enfield are standing in the street having a conversation with Jekyll. Chapter 8: “Now, sir," said he, “you come as gentle as you can. I want you to hear, and I don’t want you to be heard. And see here, sir, if by any chance he was to ask you in, don’t go." Poole warns Utterson to be careful. They are outside Jekyll’s locked door – a voice can be heard, but it is not the voice of the doctor. Chapter 9: “O God! I screamed, and O God! Again and again; for there before my eyes – pale and shaken, and half fainting, and groping before him with his hands, like a man restored from death – there stood Henry Jekyll. Hyde enters the house looking for a chemical entrusted to Dr. Lanyon. He prepares a concoction, drinks it, and is transformed into Jekyll. Chapter 10: “Here then, as I lay down the pen and proceed to seal up my confession, I bring the life of that unhappy Henry Jekyll to an end." Jekyll has unburdened his soul and made confession. He does not know what fate will befall Hyde. 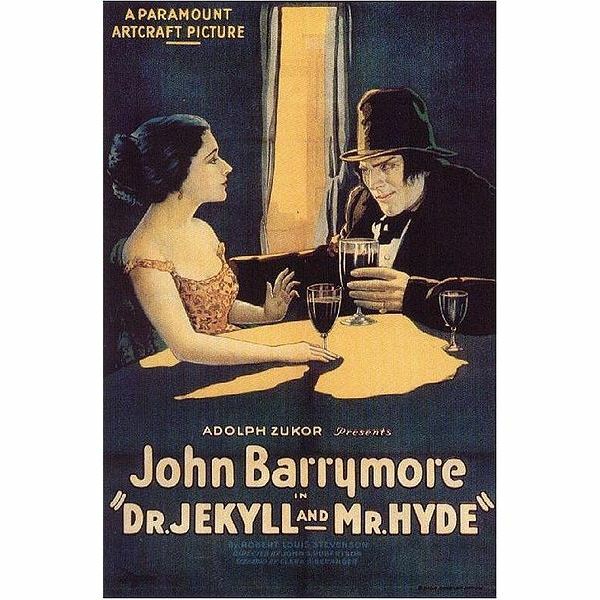 These are just a few of the many interesting quotations found in the short story of Dr. Jekyll and Mr. Hyde. While reading the story, highlight your favorite quotes and share them with the class. For other lesson plans and activities for this book, read Teacher Lesson Plans: Dr. Jekyll and Mr. Hyde Writing Prompts.